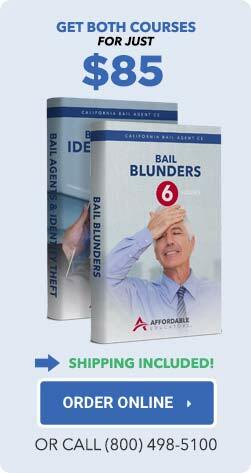 The Easiest Bail CE, the Industry's Best Deal! Self-study book courses are actually EASIER than other internet courses and cheaper than classrooms. Just read the book and answer a simple open book quick. Why by chained to a computer or classroom for 12 hours? Interesting titles with information you can really use. We really answer the phone if you have a question at (800) 498-5100. We are California-ONLY in focus making it easier and safer to get courses and rules. You’ll never have your credits go to Texas or Florida by mistake! We’ve been doing this longer than almost anybody so we know what you need. Others might leave out critical features like a book index or online search feature that can help you get things done quicker. Our service and systems are the reasons we have one of the highest referral rates in the industry…over 80% of customers come to us on the referral of a happy customer!